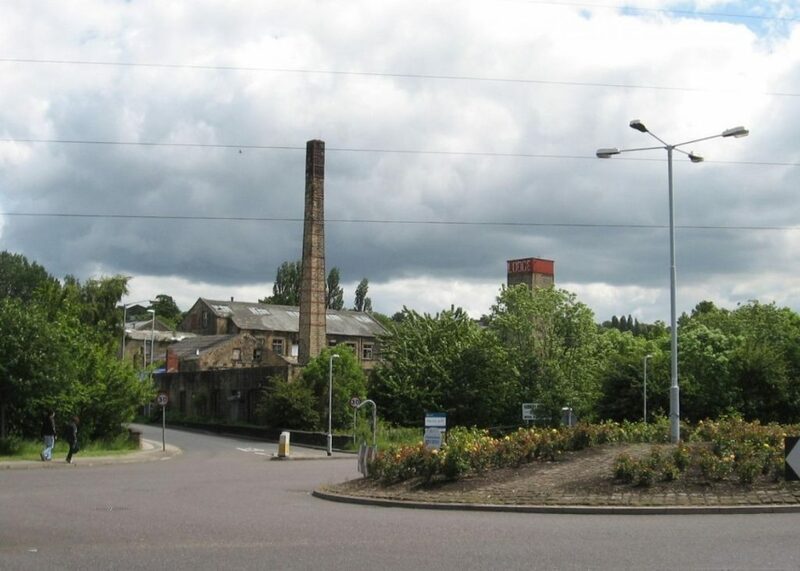 A historic mill complex in West Leeds could be given a new lease of life as the centrepiece for an ambitious new housing development, following the submission of plans for a ‘garden village’ scheme of 126 new and converted homes on the long-vacant site. Award-winning, Leeds based development company Rushbond has brought forward the plans which would see the Mills complex revitalised at the heart of the development. Stonebridge Mills is one of a small number of mill complexes in Leeds that remain ‘at risk’. Parts of the Mills date back to 1805 and the buildings have now been empty for more than 20 years. A key feature of the plans are the extensive public spaces that are proposed, including a new public park running along the Wortley Beck, a heritage garden zone alongside the Mills and extensive gardens for the proposed new build properties. The plans would see an array of historic buildings being transformed into 28 character homes, alongside 98 new contemporary-designed homes, providing a mix of two, three and four-bedroom houses for sale. Rushbond acquired the site in 2017 and has a wealth of experience transforming historic sites into highly successful new homes developments. Last year the company, in conjunction with local developer Advent, completed the conversion of the grade II listed Upper Wortley School building into a village development known as Greenhill Fold consisting of 49 family homes. Rushbond has also recently completed the final phase of the Belle Vue Mills regeneration project in Skipton, with a further 39 homes provided within the Cotton Mill building, and is currently regenerating the Majestic in Leeds City Centre along with the historic First White Cloth Hall project, as part of the Kirkgate Revival Initiative. Richard Baker, from Rushbond, says: “Stonebridge Mills is steeped in history and once played an active and vibrant role in the local community. It is sad that the site has been unused for so many years, but many of the key features of the original Mills remain and it has huge potential to be given that vibrancy again, this time as a place to live. “Our experience in developing new homes in Wortley demonstrates that there is a huge pent up demand for high quality realistically priced design-led homes on characterful sites. By bringing that experience to bear at Stonebridge Mills we hope to be able to deliver, subject to the satisfactory outcome of our recently submitted planning application, a great selection of family homes, including starter homes, surrounded by new greenspace, breathing new life into a local landmark”.